sent Freddy Galvis back to Lehigh Valley to give him more playing time. They have brought up to take his place on the roster infielder Reid Brignac, who was batting .284 with the Iron Pigs, with five home runs and 21 RBIs in 30 games. Galvis was batting .048 (2 for 42) with one RBI and three walks in 16 games, while striking out 12 times, when he was demoted. Hopefully Brignac will add a little punch off the bench, as the Phils really need some offensive help right now. that they have outrighted right handed relief pitcher Shawn Camp to Triple-A Lehigh Valley, and have recalled right handed relief pitcher Luis Garcia. Camp has appeared in just three games this season, including last night’s outing against the Blue Jays, in which he would pitch in three and a third innings, giving up two runs, both in last night’s game, on seven hits, as he stuck out a batter, for a record of 0-0, 5.40 ERA. Luis Garcia, who is making his second appearance with the team this year, pitched against the Braves on April 14, pitching a 1-2-3 inning, striking out a batter, in the Phils’ 9-6 lost. In 2013, Garcia would appear in 24 games, all in relief, compiling a 1-1, 3.73 ERA record, as he threw 31.1 innings, giving up 15 runs, 13 of which were earned, on 27 hits, 23 walks and a hit batter, while striking out 23. At Lehigh Valley this year, Garcia’s record is 2-0 and six saves with a 0.00 ERA, as he had appeared in 11 games, pitching in 13 and 2/3 innings, giving up nine hits, an unearned run and four walks, while striking out 13. Hopefully Garcia will help to stabilize the bullpen. that tonight’s game with the Braves has been postponed because of the continuing rain, and will not be made up this week, thus turning a four-game series into a three-game series. The rain should give the bullpen a full day of rest, thus allowing them to be up to full strength for the rest of the series. Speaking of the bullpen, Mike Adams will be activated from the DL today. To make room for him on the roster, righthander Luis Garcia, who had pitched well in last night’s game against the Braves, will be sent back to Lehigh Valley. The Phils have also announced that despite having received a hernia during his last start, A.J. Burnett plans to make his next start, which, thanks to the rain, should be pushed back to Thursday night. The Phils announced that they had outrighted Michael Martinez to their Lehigh Valley affiliate. The Phils announced that they had outrighted utility infielder Michael Martinez to Lehigh Valley. As the rest of the baseball world waits for the start of the first game of the 2012 World Series between the Detroit Tigers and the San Francisco Giants, the Phils announced that they have made another change in their 40-man roster as they have outrighted to the Triple-A Lehigh Valley Iron Pigs their utility infielder, Michael Martinez. Martinez, who the Phils had picked up in the 2010 Rule-5 Draft, have been on the ball club for parts of two seasons, appearing in 133 games, batting .188 (61 for 324), with 8 doubles, 2 triples and 5 home runs, knocking in just 31 RBIs, while scoring 35 runs. He had also walked 23 times. To say that I’m happy that he won’t (hopefully) be with the ballclub next season is an understatement, as Martinez did not prove in any way that he should be the club’s 25th man, especially because of his waek bat and his inability to successfully bunt when called upon to do so. I’ll feel even better if someone else takes him off the Phils’ hands, although I do not see that happening at all. The Phils win their first series on the road behind eight solid innings from Cole Hamels and a hot offense, as they defeat the D-backs, 7-2. Eight strong innings from starter Cole Hamels and seven more runs by the offense leads the Phils to their first series win on the road as they beat the D-backs, 7-2. The Phils took the lead in the first as, with one man on, and with two men out, Hunter Pence hits an RBI single, scoring Placido Polanco, who had earlier singled, then moved up to second base on catcher Henry Blanco’s passed ball, giving the Phils a 1-0 lead. The Phils tried to increase their lead later that inning as Pence tried to score on Laynce Nix’s double to left, but is gunned down at the plate by left fielder Jason Kubel, as Blanco applied the tag for the inning’s third out. They tried to increased their lead again in the second as, with a man on first, and with one man out, a wild pitch by Trevor Cahill got past Blanco and then went up the right field foul area, near the Phils’ dug out, allowing Carlos Ruiz, who had just singled, to go first to second base, and then to third base, before he headed for home plate since Cahill never went to cover home plate, but he is thrown out at the plate, 2-5, as third baseman Cody Ransom won the foot race to the plate, before applying the tag for the inning’s second out. The Phils finally added to their lead in the sixth as, with two men on, and with one man out, Juan Pierre, who had earlier singled, then moved up to second base on Polanco’s single, before going on to third on Shane Victorino’s ground out, 4-3, would score on Cahill’s second wild pitch of the ballgame, giving the Phils a 2-0 lead, while allowing Polanco, who had earlier singled, then stopped at second base on Victorino’s ground out, to move up to third base. The Phils then made it a 3-0 lead as Pence hits an RBI single, scoring Polanco. The Phils increased their lead three batters later as, with two men on, and with two men out, Ruiz hits an RBI single, knocking in Pence, who had stopped at second base on pinch hitter Ty Wigginton’s single, giving the Phils a 4-0 lead, while sending Wigginton, who had just singled, on to third. The Phils then took a 6-0 lead two batters later as, with the bases loaded, thanks to a walk to Freddy Galvis, moving Ruiz up to second base, and with still two men out, Cole Hamels helped his own cause by hitting a two-run single, knocking in both Wigginton and Ruiz, while sending Galvis over to third. The D-backs finally got on the scoreboard in the seventh as, with two men on, and with one man out, Kubel hits an RBI single, knocking in Aaron Hill, who had earlier singled, then stopped at second base on Justin Upton’s single, making it a 6-1 Phils’ lead, while sending Upton, who had just singled, up to second base. Two batters later, after Ransom had walked to load the bases, as both runners moved up a base, Upton would score on Paul Goldschmidt grounder, making it a 6-2 Phils’ lead, while second baseman Pete Orr would commit a force attempt, missed catch error, as he missed shortstop Galvis’ throw to second base, allowing Kubel to reach third and Ransom to be safe at second base, while Goldschmidt would be safe at first. The Phils then took a 7-2 lead in the ninth as, with a runner on first, and with nobody out, Polanco hits an RBI double, scoring Pierre, who had just singled. That would end up being the final score as Michael Schwimer, who had just been called up from the Lehigh Valley to replace Michael Stutes, who had just been placed on the disabled list last night, pitched a 1-2-3 ninth, getting Kubel to lined out to center for the game’s final out. Cole Hamels (3-1, 2.73) got the win as he pitched eight strong innings, giving up two runs on four hits and a walk, while he struck out seven. Michael Schwimer threw a 1-2-3 ninth. Trevor Cahill (1-2, 3.70) took the lost as he went five and a third innings, giving up four runs on six hits, two walks, a passed ball and two wild pitches, while striking out three. Craig Breslow pitched two-thirds of an inning, giving up two runs on three hits and a walk, while striking out a batter. Brad Ziegler and David Hernandez combined for two scoreless innings, giving up two hits (one hit each) between them, while striking out four Phils (two apiece). Joe Martinez pitched an inning, giving up a run on two hits, as he struck out a batter. The Phils had thirteen hits in the game, with Placido Polanco (2 Singles, Double, RBI) and Carlos Ruiz (Singles, RBI) both leading the team with three hits apiece, followed by Juan Pierre (Singles) and Hunter Pence (Singles, 2 RBIs) who both had two hits each. 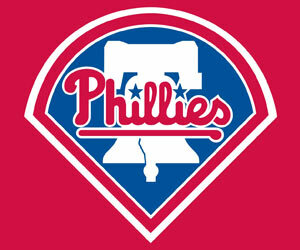 Laynce Nix (Double), pinch hitter Ty Wigginton (Single) and Cole Hamels (Single, 2 RBIs) had the other three Phils’ hits. The final Phil run would score on a wild pitch. The Phils also had three walks in the ballgame, as the Phils’ now hot offense have scored 20 runs in their last nineteen innings. The Phils (9-10, 4th East) will have an off-day tomorrow before starting a four-game weekend series with the Cubs, starting on Friday night, in Philadelphia. The Phils have announced that they have invited eight minor leaguers to spring training. Earlier today the Phils had announced that they have invited eight players in their minor league system to try out with the main team during spring training, 2012. Four of the eight players are pitchers, two are infielders, one is an outfielder and one is a catcher. Among the four pitchers, two are lefties and two are righties. The four are: left-handers Pat Misch and Raul Valdes and right-handers Scott Elarton and Brian Sanches. Misch made six relief appearances for the Mets in 2011, but spent most of the season at Triple-A Buffalo, making 22 starts. In 2011, Valdes went 0-1 with a 3.00 ERA in 13 appearances for both the Cardinals and the Yankees. Sanches, pitching for the Marlins, went 4-1 with a 3.94 ERA in 39 games. Elarton, because of injuries, last pitched professionally in 2010, and last pitched in the majors in 2008. The two infielders are Pete Orr, who appeared in 49 games for the Phils in 2011, batting .219, and Kevin Frandsen, who played the entire year at Lehigh Valley, batting .309, with 5 home runs and 43 RBIs. The final two invitees are outfielder Scott Podsednik, who played in just 34 games, because of injuries, for the Triple-A teams of the Blue Jays and the Phils, batting .245, with six doubles and a triple for the Iron Pigs, and catcher Tuffy Gosewisch, who, at Double-A Reading, played in 109 games, batting .247, with 13 homers and 66 RBIs. For Gosewisch, this will be his fourth invitation to spring training. I wish the eight the best of luck.